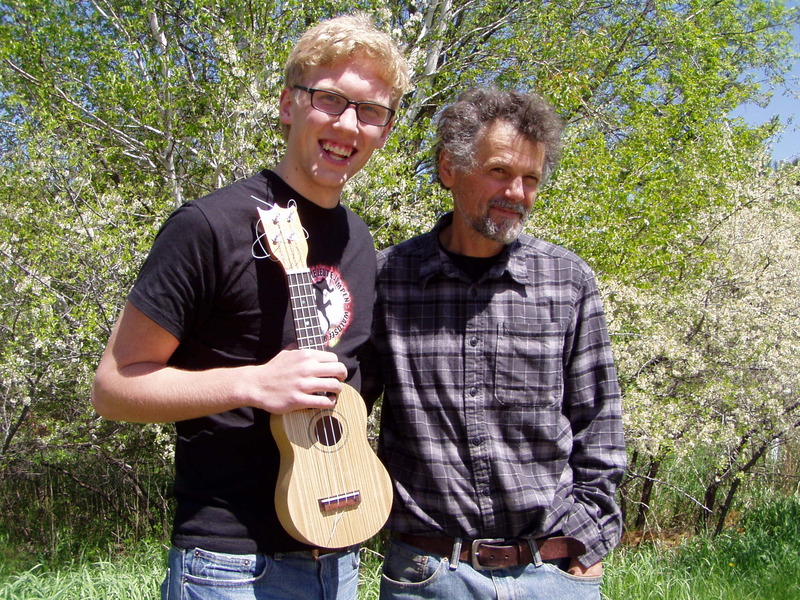 2010 Artist Mentor Grant Recipient Carl Graefe and his hand-built ukulele “Mae” had their debut on Sunday at the Bemidji High School Spring Senior Recital at Thompson Recital Hall on the BSU campus. Local luthier Jeff Burger mentored Graefe in building the ukulele from black ash harvested from the woods surrounding Burger’s home. In addition, the ukulele is comprised of an ebony fingerboard, mahogany neck and peghead, and a rosewood bridge. With his mentor Jeff Burger in the audience, Carl closed the senior recital with a song on his ukulele. He concluded by thanking Burger for mentoring him, and Region 2 Arts Council for the Artist Mentor Grant which made the experience possible. This activity is funded in whole by a Region 2 Arts Council Grant through an appropriation by the Minnesota State Legislature, and the Arts and Cultural Heritage Fund passed by Minnesota voters on November 4, 2008.